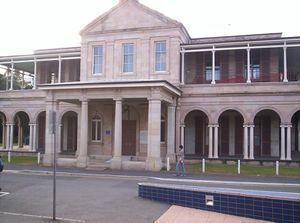 Queensland's first Government House located in the QUT Gardens Point Campus grounds. 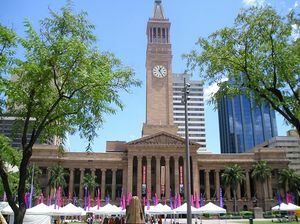 بريزبين (Brisbane) هي عاصمة ولاية كوينزلاند، أستراليا، وأكبر مدن الولاية من حيث عدد السكان. بلغ عدد سكانها 1774890 نسمة عام 2003، معظمهم مسيحيين كاثوليك أو بروتستانت. المدينة تقع بالقرب من المحيط الهادي، على ضفاف نهر بريزبين، في السهول بين خليج موريتون وسلسلة جبال گريت دڤايدنگ، جنوب شرق كوينزلاند. سميت المدينة بهذا الاسم تيمناً بالحاكم الاستعماري والفلكي الإسكتلندي السير توماس بريزبين، الذي كان يشغل منصب الحاكم لولاية نيوساوث ويلز بأستراليا. 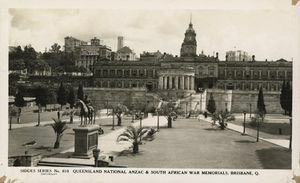 تلقب المدينة محلياً باسم "Brissie". تأسست المدينة عام 1824. The Windmill in Wickham Park in Brisbane. Built by convicts in 1828, it is one of the oldest buildings in Brisbane with the Old Commissariat Store on William Street. 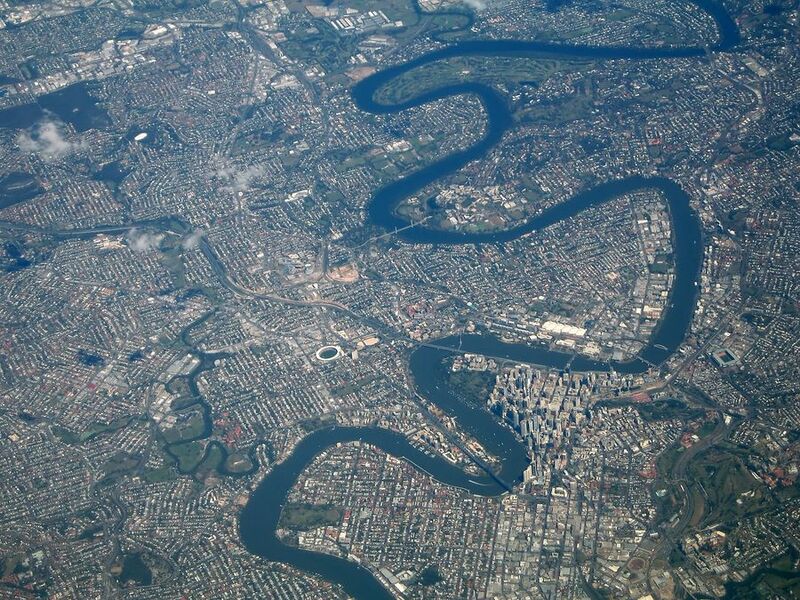 with The Brisbane City Botanical Gardens on the left. 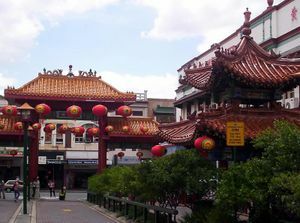 ^ Australian Bureau of Statistics (2008-03-31). "3218.0 3218.0 Population Estimates by Statistical Local Area, 2001 to 2007". Retrieved 2008-05-30. 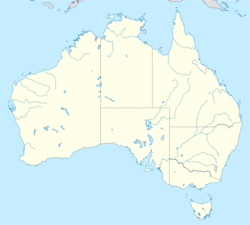 ^ Australian Bureau of Statistics (2008-03-17). "Explore Your City Through the 2006 Census Social Atlas Series". Retrieved 2008-05-19. ^ Australian Bureau of Statistics (25 October 2007). 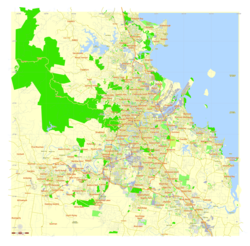 "Community Profile Series : Brisbane (Major Statistical Region)". 2006 Census of Population and Housing. Retrieved 2008-02-28.